Galactic Rings is a major review article that I wrote in 1996 with Dr. Francoise Combes of the Paris Observatory. The review was written at a time when it was thought that galaxy rings in general are dynamical resonance features driven by bar perturbations in galactic disks. Other ideas have been proposed since that time that do not necessarily involve orbit resonances. The review can be accessed at the weblink at right. 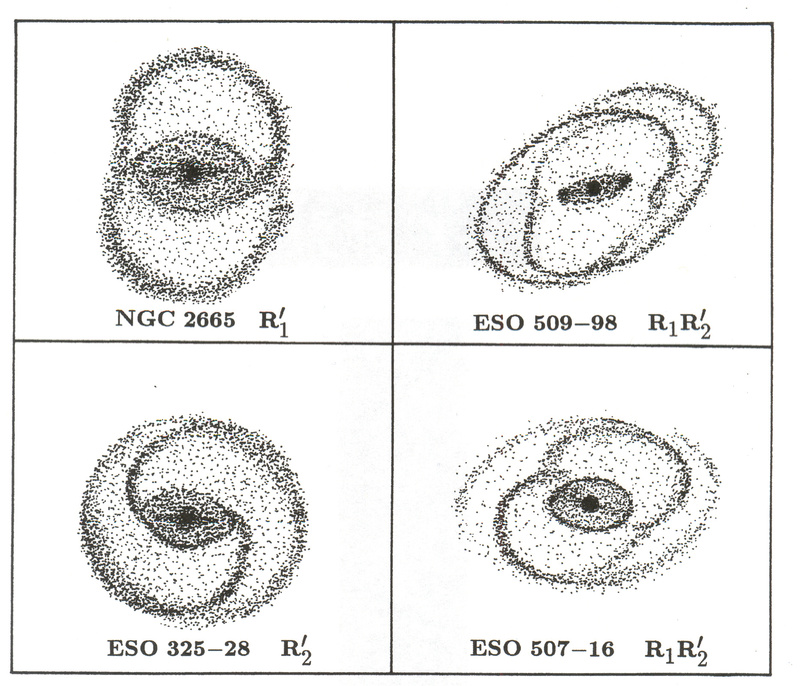 Schematics of "OLR subclasses" of outer pseudorings in barred galaxies. OLR stands for "outer Lindblad resonance," one of the major low order disk resonances expected in a barred galaxy. 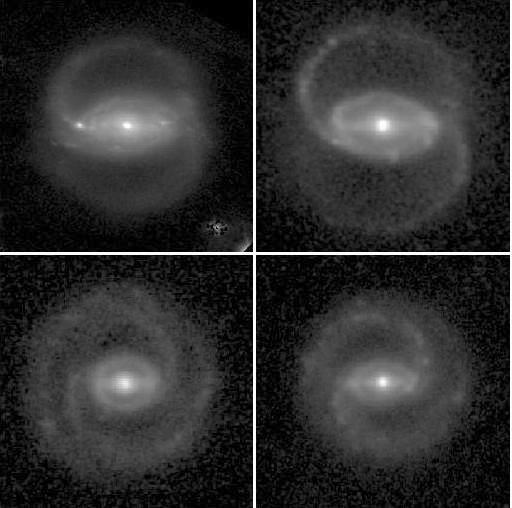 The four galaxies shown here (clockwise from top left: NGC 2665, UGC 12646, ESO 325-28, and ESO 577-3) show spiral patterns whose characteristics are thought to be shaped by stellar orbit families associated with the OLR. The schematic above is based on two of these galaxies, and two others.